According to China Customs, in July 2018, China saw exports of textiles and apparel of about 26.95 billion USD, an increase of 5.74% year on year and an increase of 5.78% month on month. Among them, the export of textile yarns, fabrics and products was 10.159 billion USD, up 8.78% year-on-year, and down 4.91% from the previous month; the export of apparel and accessories was 16.792 billion USD, a year-on-year growth of 3.99%, and a month-on-month increase of 13.51%. It can be seen that with the support of the industry’s comprehensive competitive advantage, China’s export of textile and apparel is still promising. Looking at Brazil. After the recovery of the Brazilian economy in 2017 �Cresuming growth after 2 years of recession, the International Monetary Fund predicts that Brazil’s gross domestic product (GDP) growth rate should reach 2.3% and 2.5% respectively this year and next year. However, driven by consumption and investment, Brazil’s Ministry of Finance expects that its GDP this year and next year will grow by 3% and 2.8% respectively. The rapid recovery of Brazilian economy is inseparable from Chinese economy. R Evan Ellis, professor of Latin American Studies at the Strategic Studies Institute of U.S. Army War College, once said: “If Brazil cooperates with China with great economic strength and influence, it will really change the economic landscape.” China is Brazil’s largest source of imports and export destination. According to the statistics of the Brazilian Foreign Trade Secretariat of the Ministry of Commerce of China, from January to June 2018, the import and export value of bilateral goods between China and Brazil was 44.78 billion USD, an increase of 14.2% year on year. Among them, Brazil’s exports to China were 29.82 billion USD, up 10.6%, accounting for 26.2% of Brazil’s total exports, up 1.2 percentage points; Brazil’s imports from China were 14.97 billion USD, up 22.1%, accounting for 17.9% of Brazil’s total imports, up 0.7 percentage point. Among them, the import of textiles and raw materials reached 1.571 billion USD, an increase of 24.8%. The chemical filaments imported from China amounted to 323 million USD, up 21.9%, while the imports of chemical staple fiber reached 175 million USD, up 16.7%. From January to June, Brazil’s trade surplus with China was 14.85 billion USD, an increase of 1.1%. Till June, China is Brazil’s largest export market and the largest source of imports. What is more worth mentioning is that in recent years, China-Brazil relations have achieved leap-forward development. Under the background of global trade downturn, China-Brazil cooperation has remained at a high level. The promotion of China-Brazil relations as a comprehensive strategic partnership is one of the important reasons for the development of China-Brazil trade. Brazil is the only South American country among the founding members of the AIIB. The economic and trade trend also follows the rule that those who submit will probably prosper. The 6th edition of the GOTEX Show - International Textile Fair (hereinafter referred to as “GOTEX Show”), which is to be held in mid-September this year, has become an important platform for the cooperation between the textile business circles of the two countries, bringing unlimited business opportunities to the companies. Meanwhile, the beginning of Sino-US trade frictions has made foreign trade enterprises look forward to China-Brazil cooperation to promote the economic growth of the two countries. Although there are trade frictions between China and the United States, chemical fiber-based home textile products and purified chemical-fiber knitwear are not subject to tariffs, because the United States is clear that their chemical fiber home textiles are dependent on Chinese imports. Adding tariffs will only increase consumer burden.However, the cotton home textiles are subject to tariffs, because these products can be imported from India, Vietnam and other alternative countries. Pan Faming from China-Brazil Investment Development & Trade Center, also said that the Brazilian market is large in scale and rich in resources. Its industrial structure is highly complementary with that in China, which provides an important basis for Chinese enterprises to cooperate in capacity cooperation in Brazil. But the social environment in Brazil is special. The tax laws and labor laws are extremely complicated, and the operational risks are relatively high, making it difficult for domestic cooperative enterprises to do business in Brazil. He also stressed that Chinese textile and apparel enterprises enjoy great potential for capacity cooperation with Brazil. Fumily has participated in the GOTEX Show for four consecutive years. Currently, it has been in cooperation with two groups in Brazil. According to Wen Wei, the characteristics of the orders they receive from Brazilian customers are that the varieties are few and the quantity is large, which is beneficial to control costs and thus a large profit. Shanghai Huashen Import & Export Co., Ltd. entered the Brazilian market in 2015 and expanded its business partners and customer resources through the GOTEX Show platform to make its business in Brazil develop rapidly. Huashen made full use of GOTEX Show as a platform to do a good job in brand promotion, expanding its local influence. Then very quickly, it established a cooperative relationship with the top garment brands in Brazil, such as Marisa, Renner, Brookfield, etc., and quickly found a Brazilian clothing distribution channel through deep cooperation with local companies. China is still the world’s largest producer and exporter of textile and apparel. More global cooperation will shift China’s textile and apparel production capacity to provide textile and apparel services to the world. Driven by Chinese government’s “high-quality development” strategy, the textile and apparel industry can provide better products and services to the global consumer markets. The GOTEX Show cannot only promote China’s quality products to the international markets, but also attract global industry insiders to participate, for a wider international interest sharing. One of the key features of the “CSC9000T China Textile and Apparel Corporate Social Responsibility Management System” issued by Social Responsibility Office of China National Textile and Apparel Council aims Chinese companies investing at abroad, providing guidance on the performance of “going global” and guiding textile and garment enterprises to comprehensively and reasonably focus on and respond to the interests and expectations of various stakeholders in corporate strategy, systems, operations and business relationships. It fully absorbs the internationally recognized conventions, standards and initiatives, and provides a tool for companies to meet legal and regulatory requirements and a variety of internationally existing social responsibility related expectations. In addition, the “Carbon Management Innovation 2020 Action ・ Carbon Emissions Measurement Platform” supports industry enterprises to promote low-carbon innovation and scientific emission reduction, contributing the industrial strength of China’s textile and apparel industry to the realizing of China’s commitment to global climate change with low carbon emission reduction in the international community. During the Annual Conference on Social Responsibility of Chinese Textile and Apparel Industry held in Shanghai on October 12th, 2017, Sun Ruizhe, President of China National Textile and Apparel Council, said that China is the largest country in textile production, exports, and consumption in the world, making great contributions to the development of the world economy. At present, China has established a new textile positioning, namely, developing “science, technology, fashion and green” industries, and closely cooperating with countries along the “Belt and Road”. In the future, the concept of sustainable development will be transmitted to the upstream and downstream of the textile industry, and a resource-saving and environment-friendly society will be built together with “Enterprises benefit the environment and the environment will feed back the enterprise”. All countries should break the old interest pattern, build a new cooperation pattern, strengthen responsibility, and jointly join the overall situation of sustainable development. Peter McAllister, Executive Director of Ethical Trading Initiative, stressed that sustainable development is the most challenging topic in the textile industry. China’s guiding role in this respect is irreplaceable, for its technological development and innovation level are among the highest in the world. At present, more and more Chinese companies are investing overseas, which not only brings benefits to the development of the host country, but also promotes China’s own development. In general, Chinese companies have satisfied the world in terms of labor standards and environmental protection. The development of the garment industry in Brazil is relatively mature, while the intermediate products such as fabrics are relatively weak. China’s excellent fabric companies can provide complete and rich industrial procurement options for the Brazilian garment industry, which is beneficial to the interests of the Brazilian garment industry. 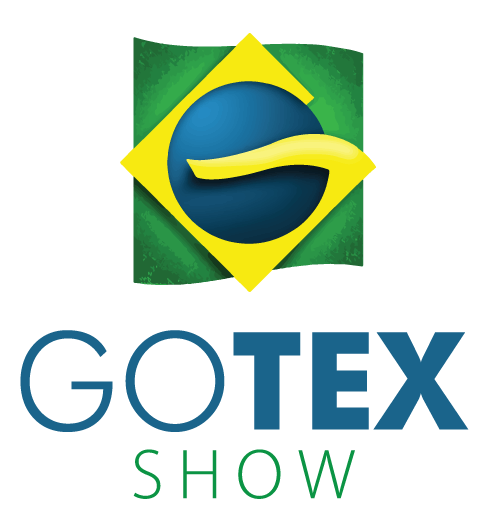 The GOTEX Show enhances the matchmaking between Chinese fabrics and the local fashion industry, and strategically cultivates the attention of consumers in the Brazilian industry on Chinese fabric products. Through this complementary cooperation, not only Chinese enterprises can connect with local industries more quickly and accurately, but local industries can benefit from it, promoting the sustainable development of the Brazilian textile economy, and achieving a win-win situation for both industries.